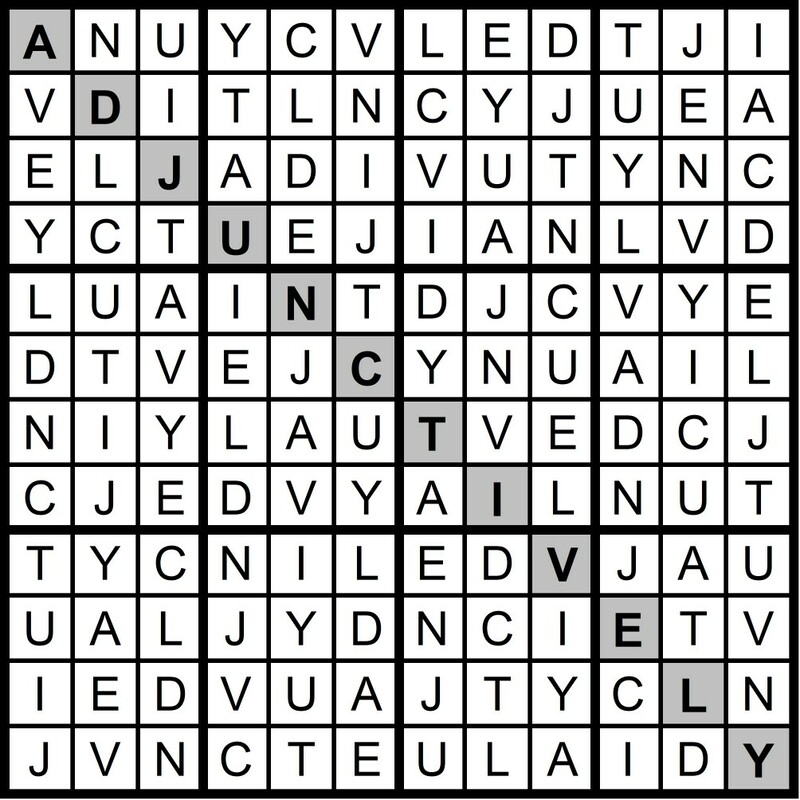 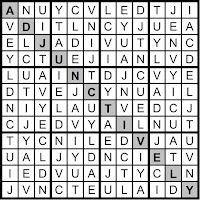 Yesterday’s Sunday Challenge 12x12 Hidden Word Sudoku Puzzle was based on the letters CAVED JULY TIN (ADJUNCTIVELY). 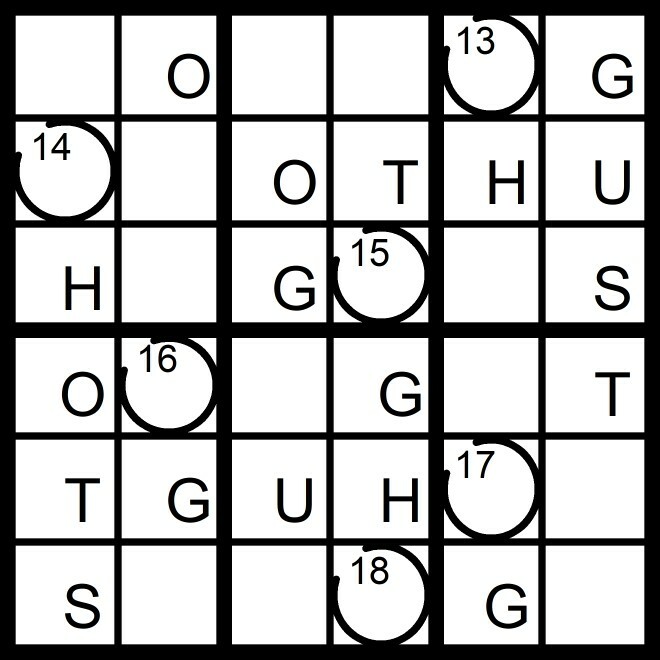 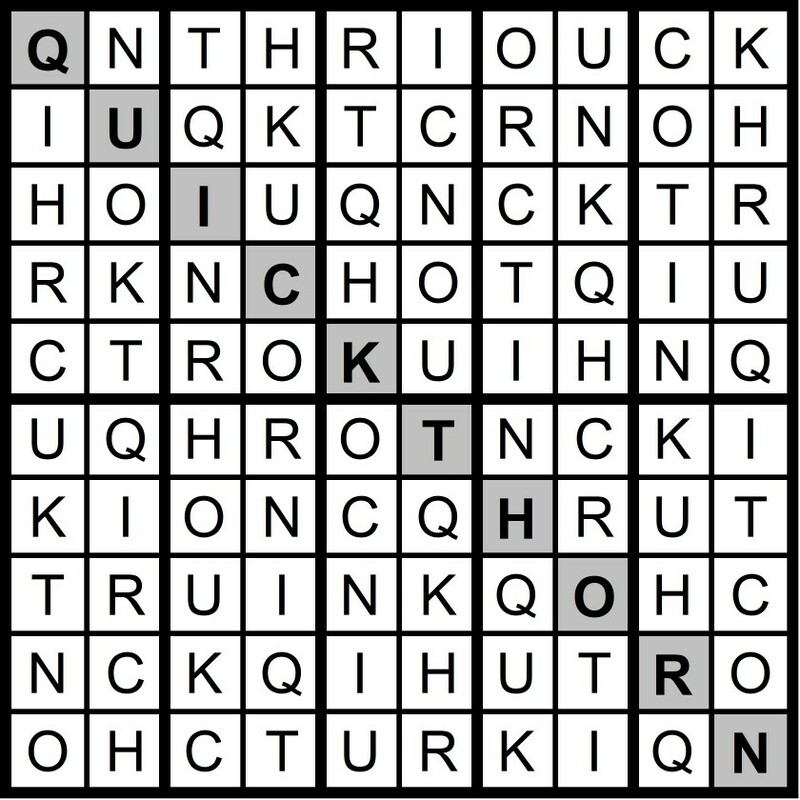 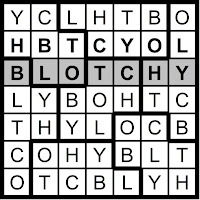 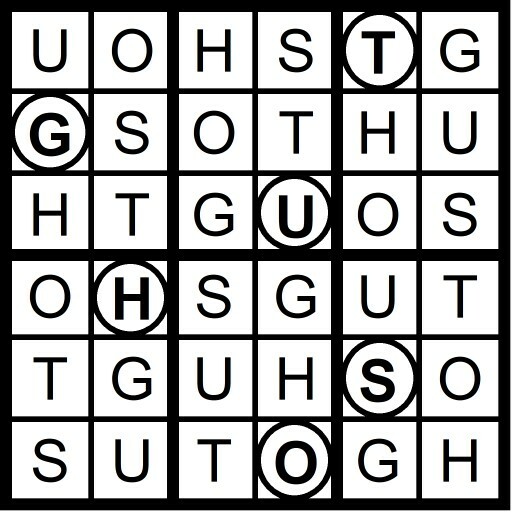 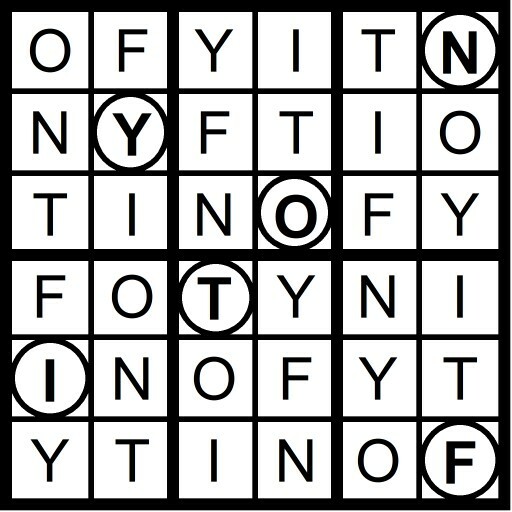 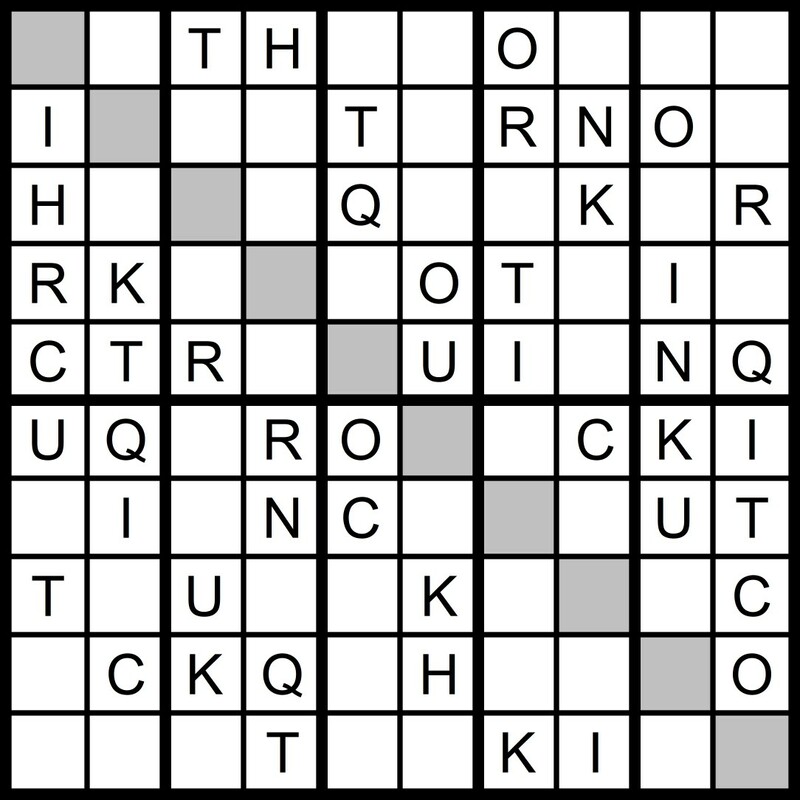 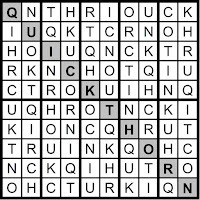 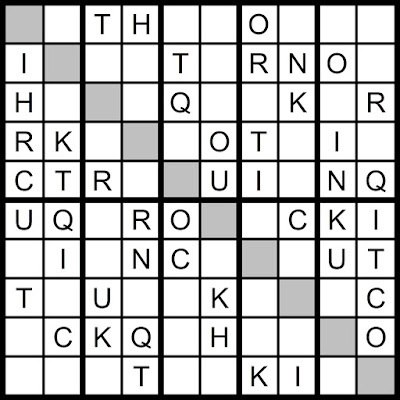 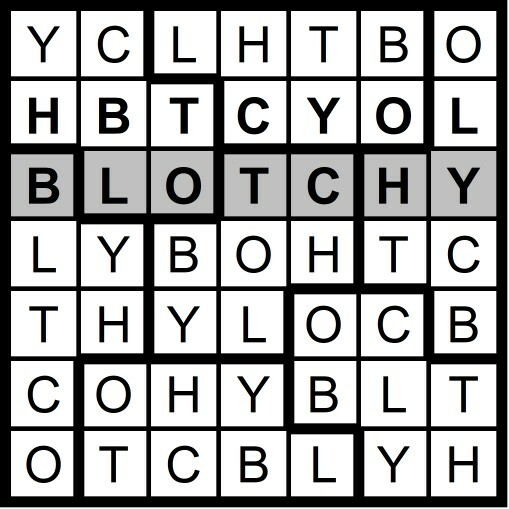 Yesterday's 10x10 Hidden Word Sudoku puzzle was based on the letters NOTCH QUIRK (QUICKTHORN). 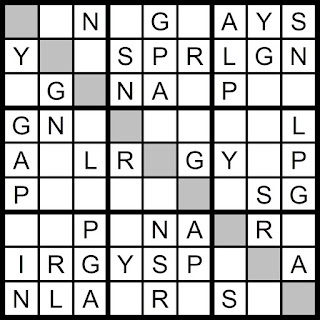 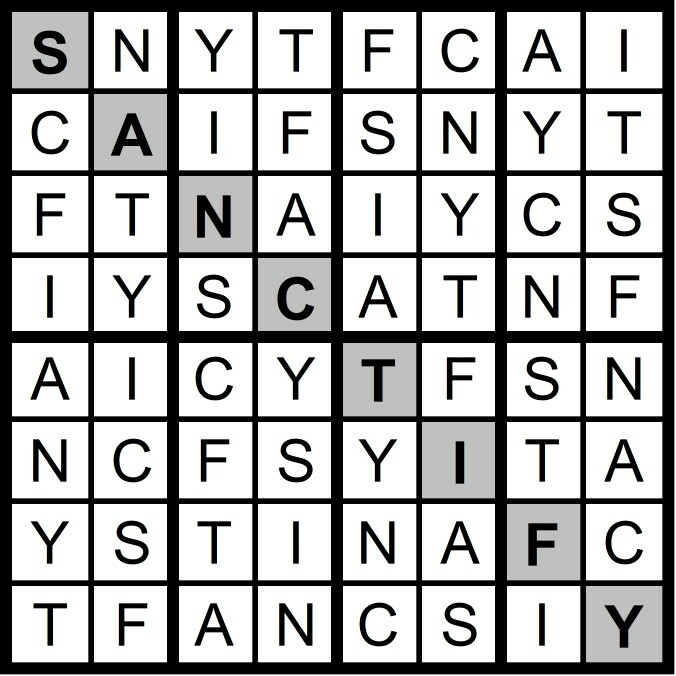 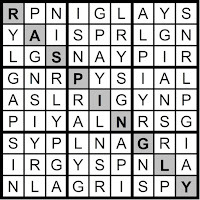 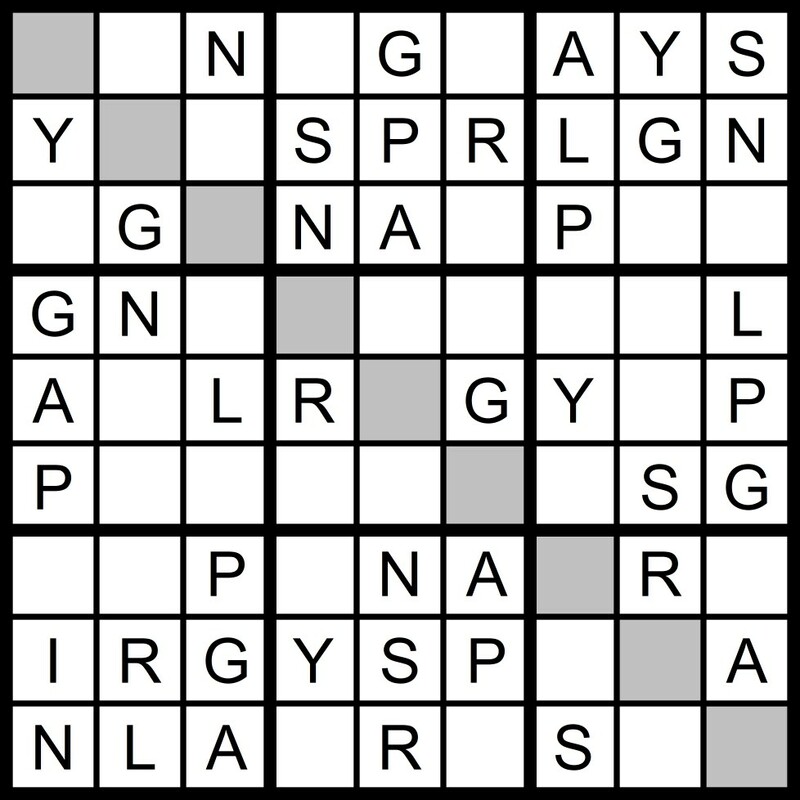 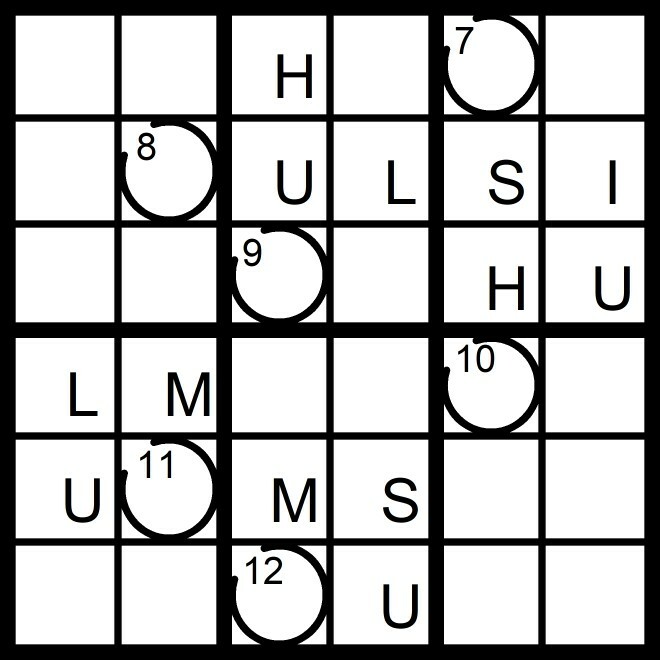 Yesterday's 9x9 Hidden Word Sudoku puzzle was based on the letters SPARINGLY (RASPINGLY). 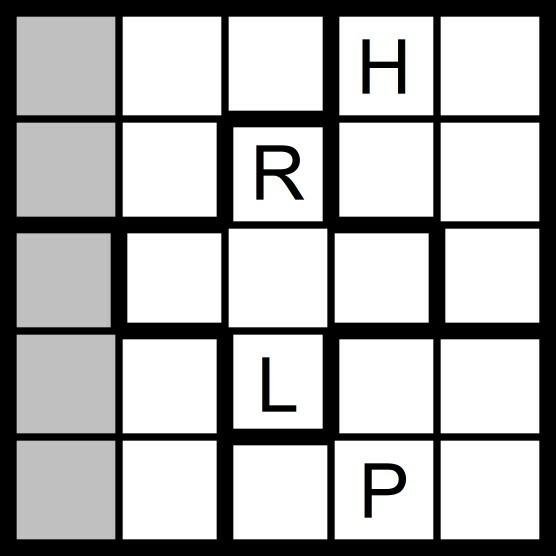 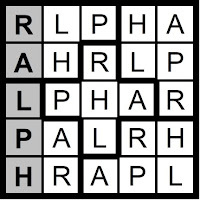 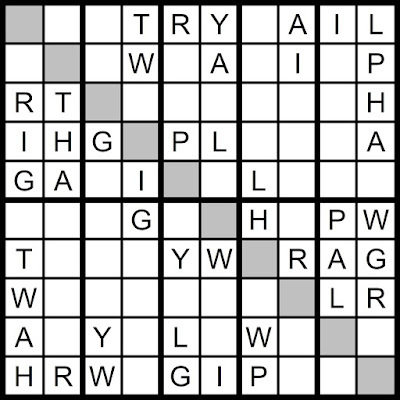 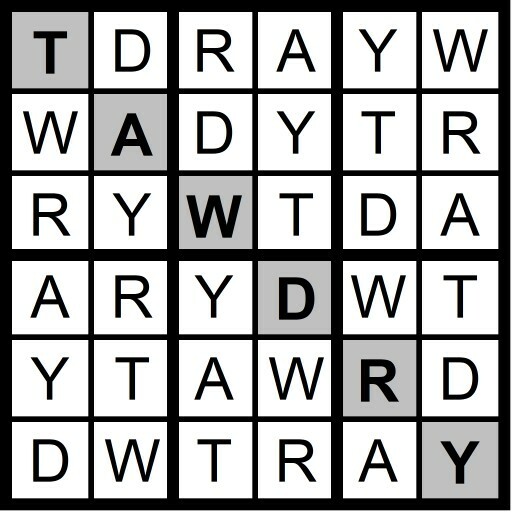 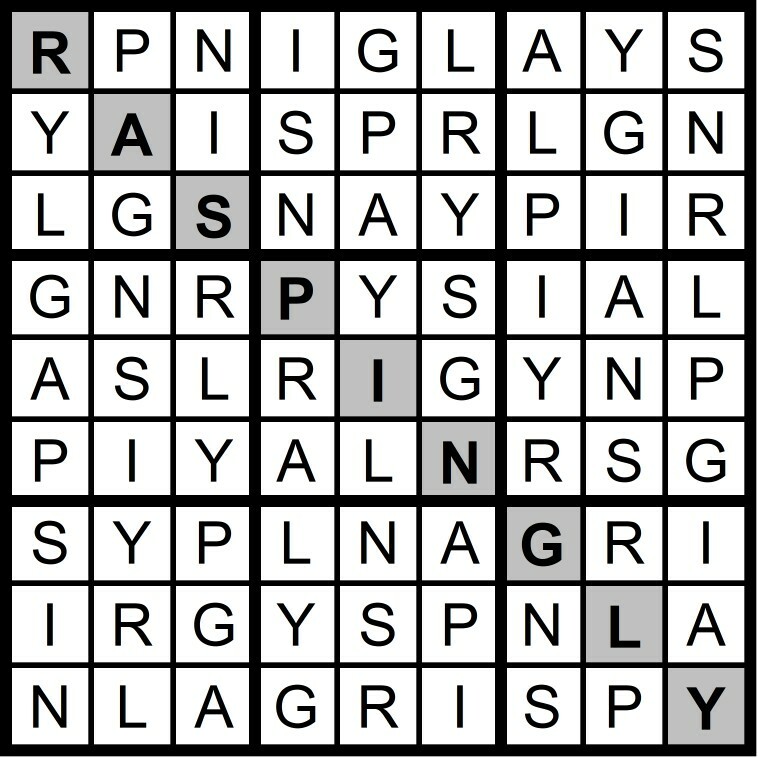 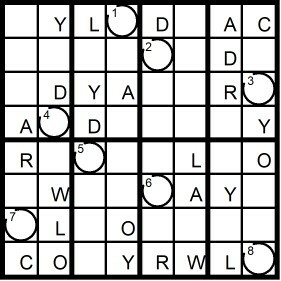 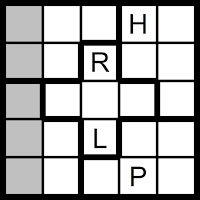 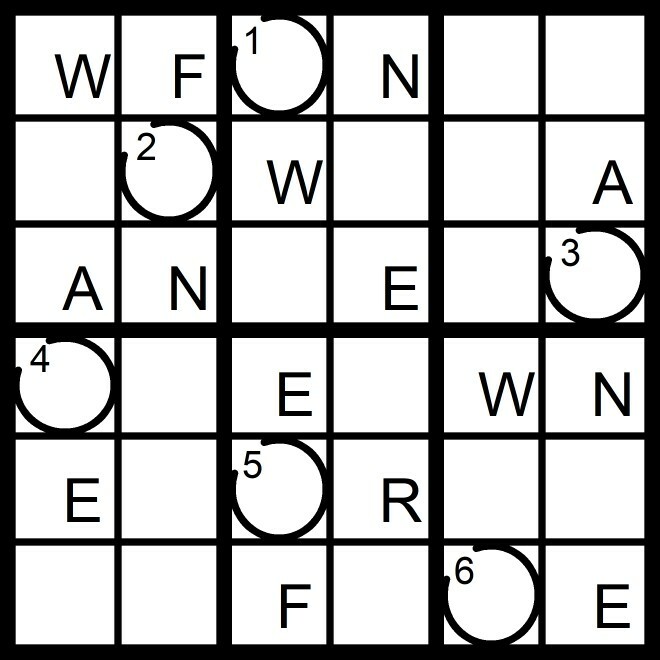 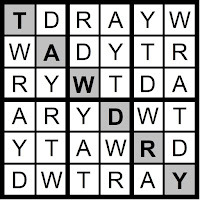 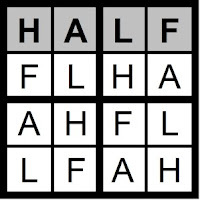 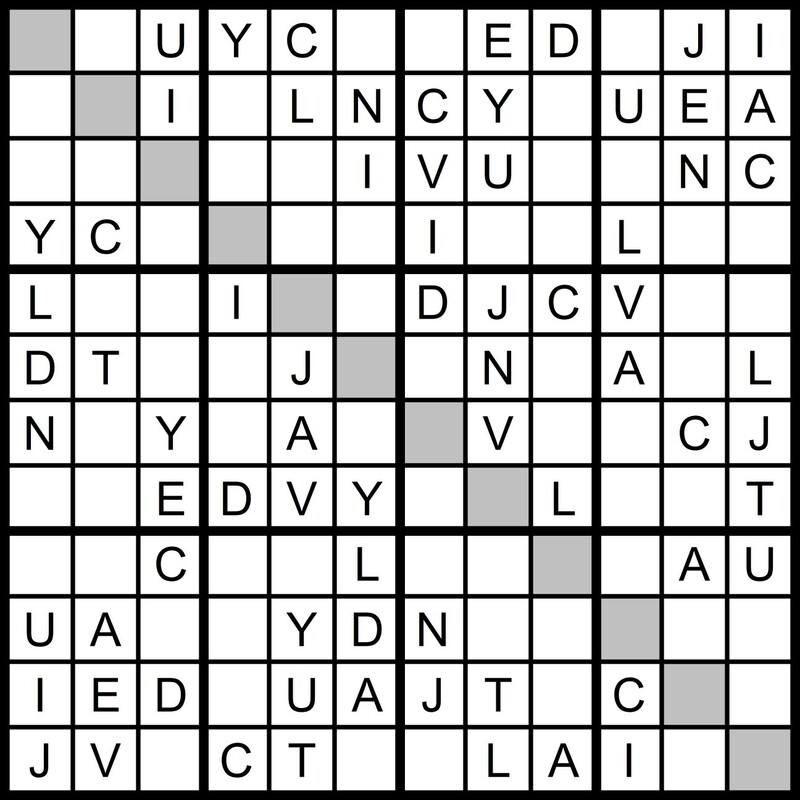 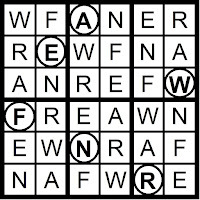 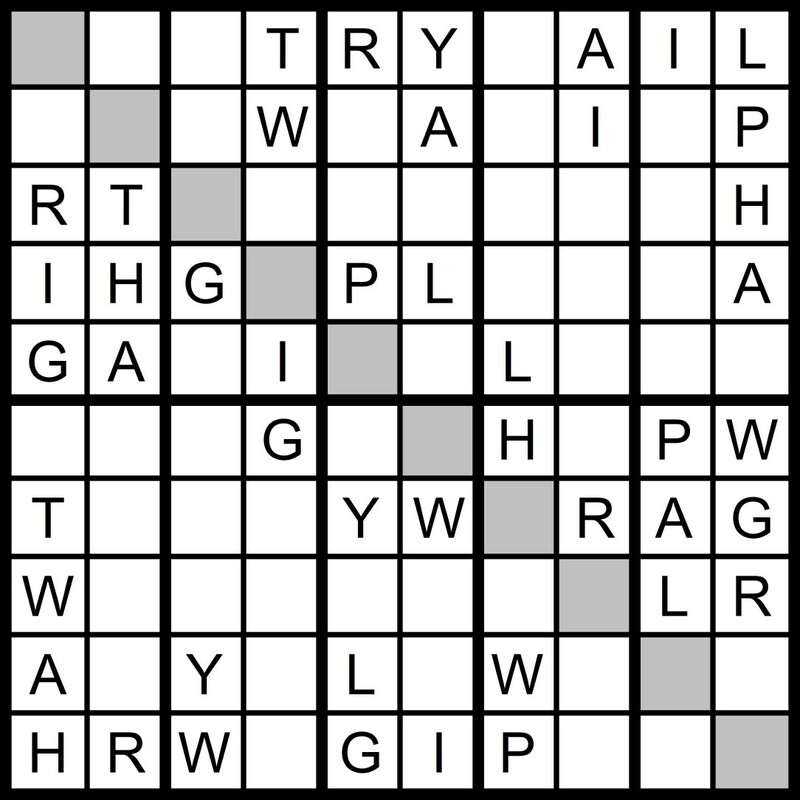 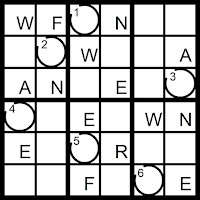 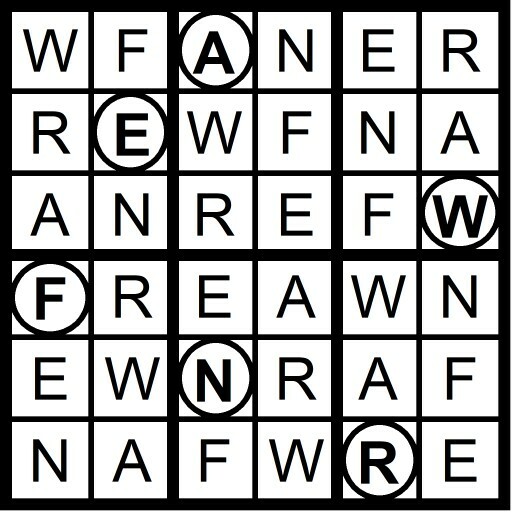 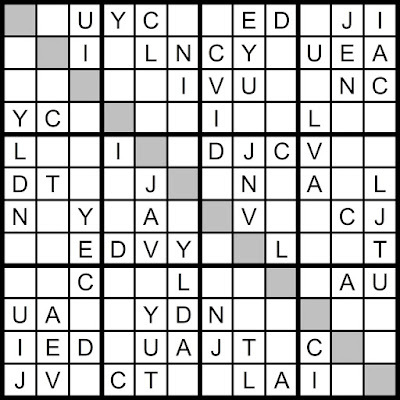 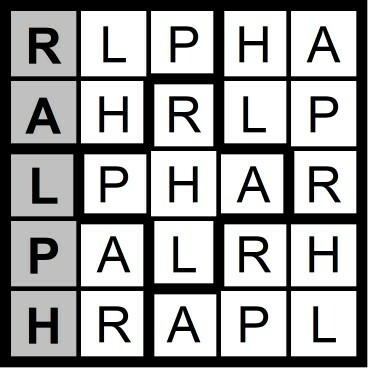 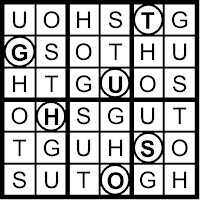 Yesterday's 5x5 Hidden Word Sudoku puzzle was based on the letters HARP L (RALPH) and the 7x7 Hidden Word Sudoku puzzle was based on the letters NW GLORY (WRONGLY). 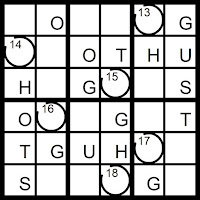 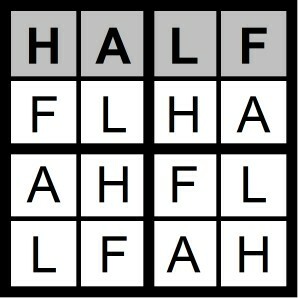 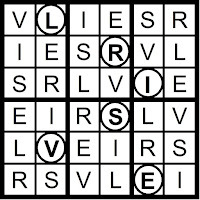 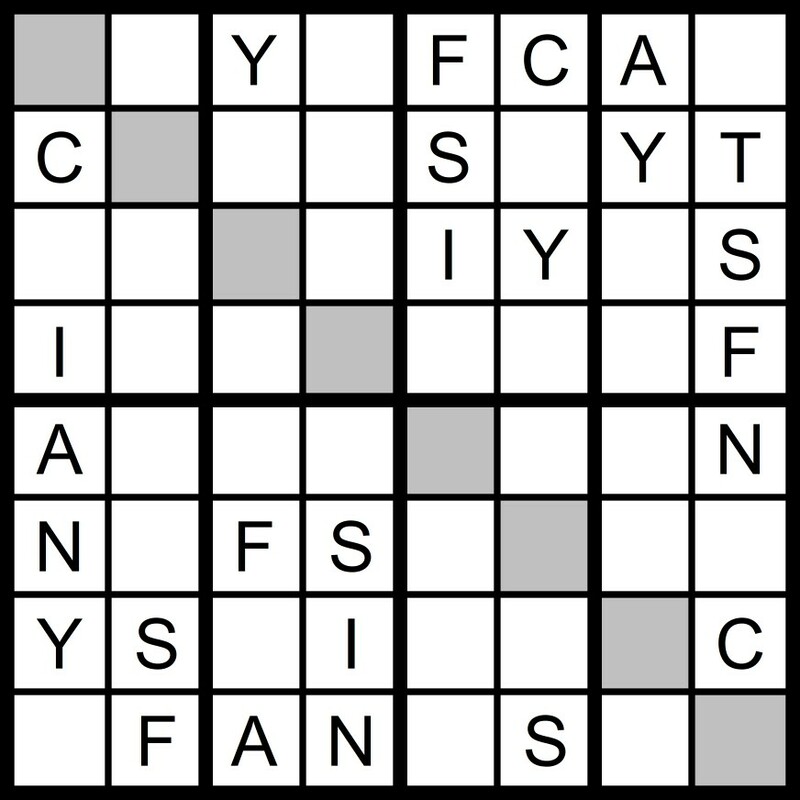 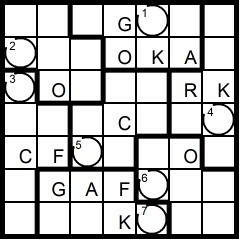 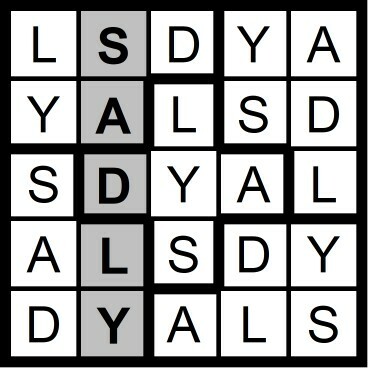 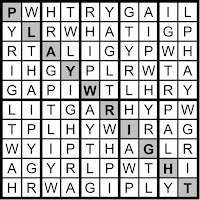 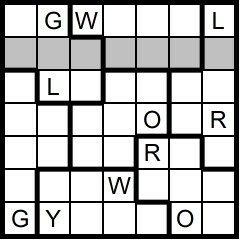 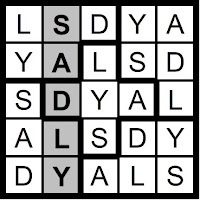 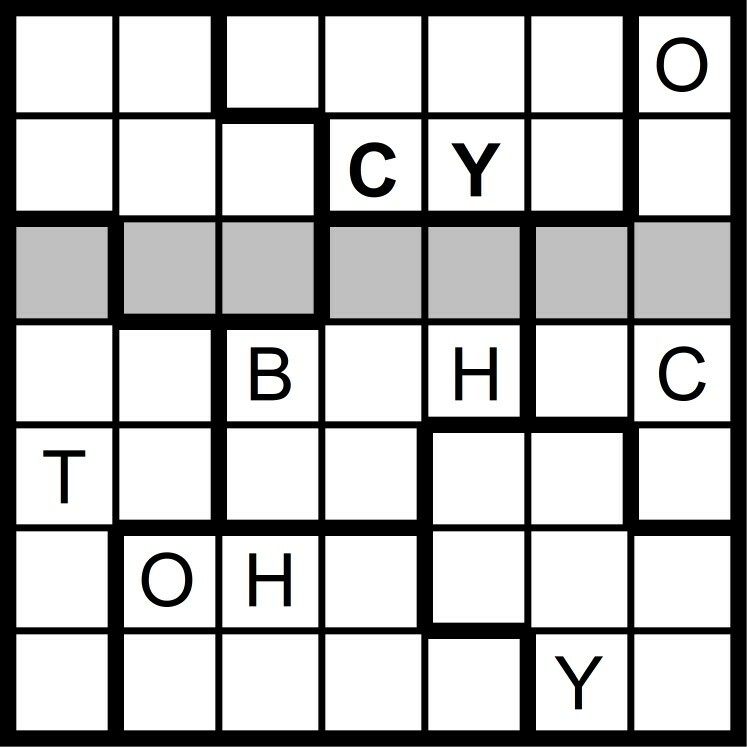 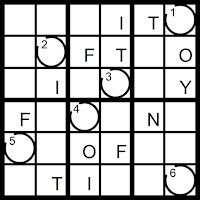 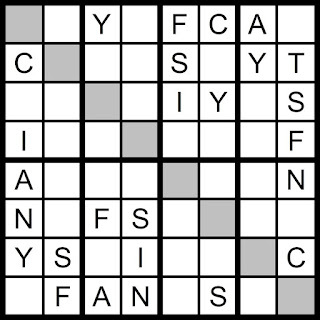 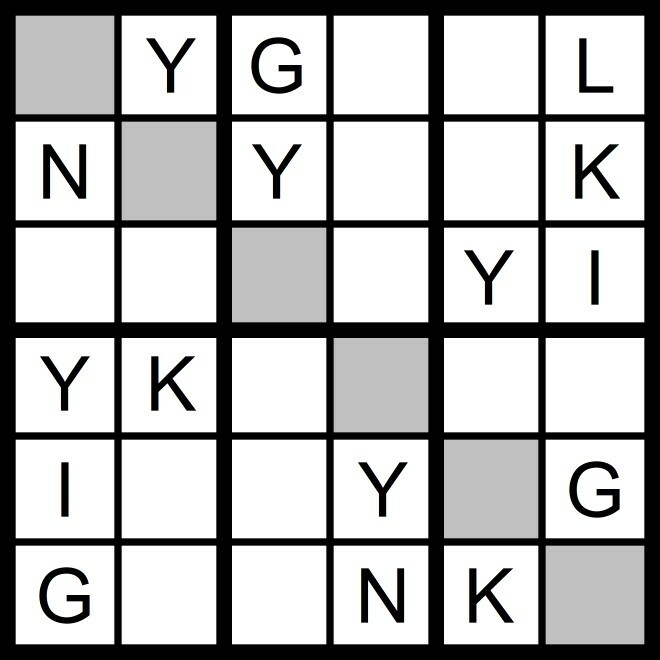 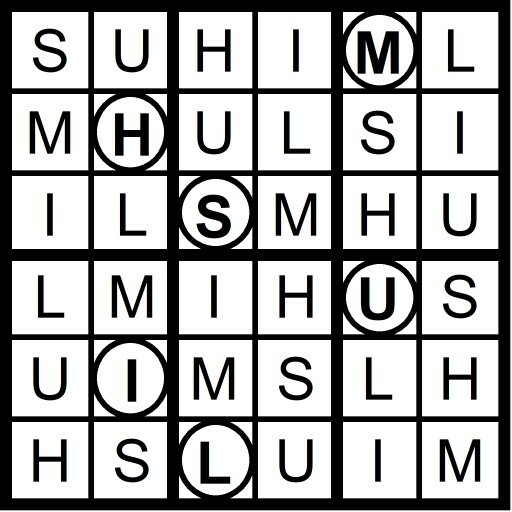 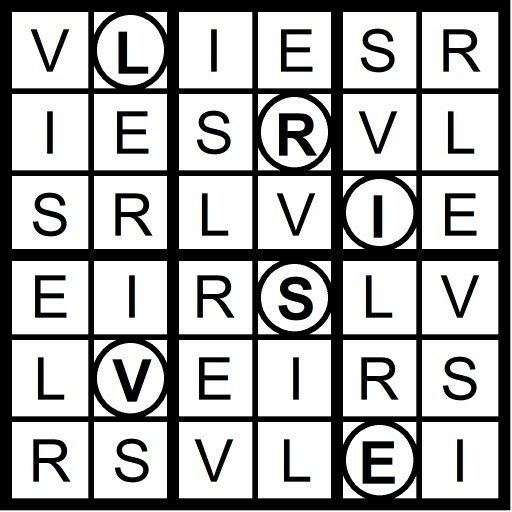 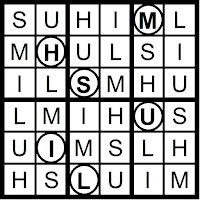 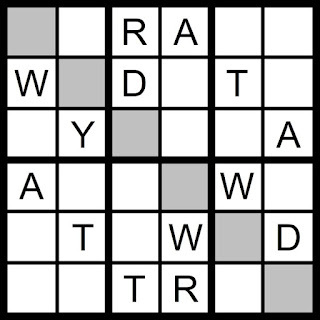 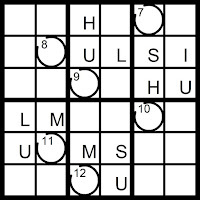 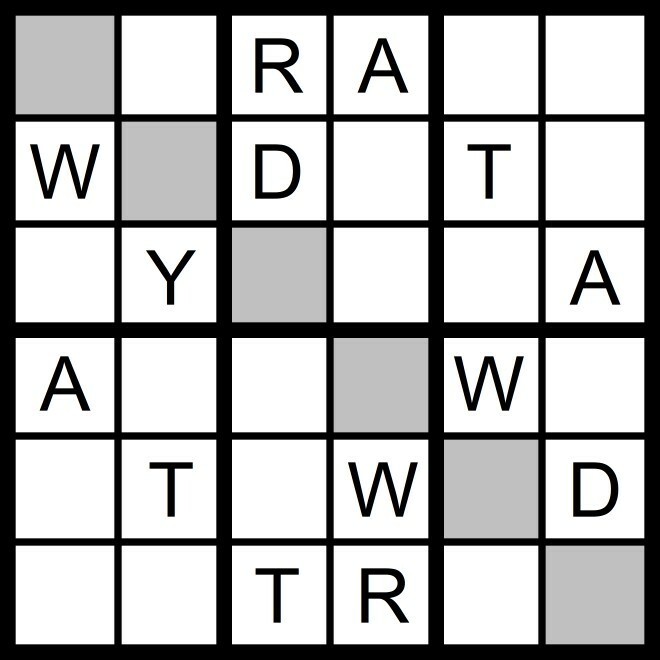 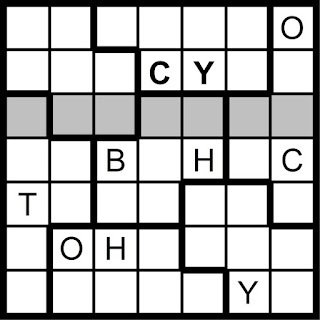 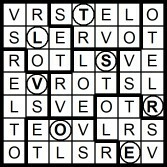 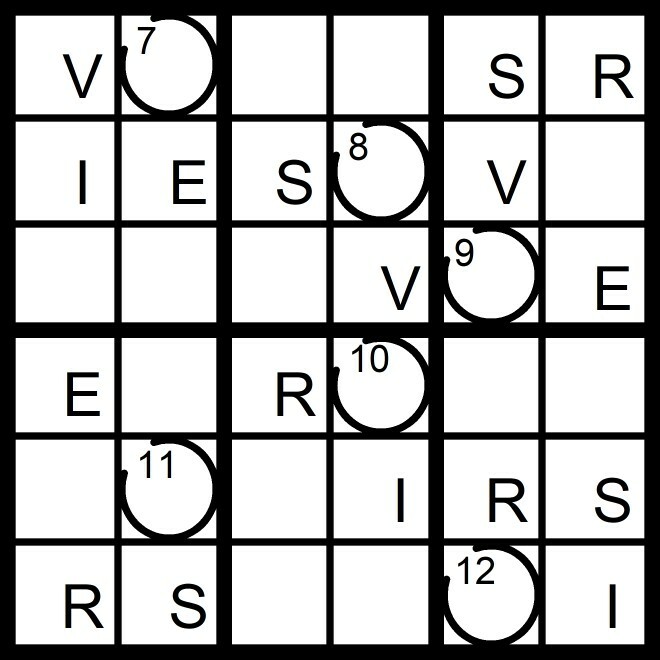 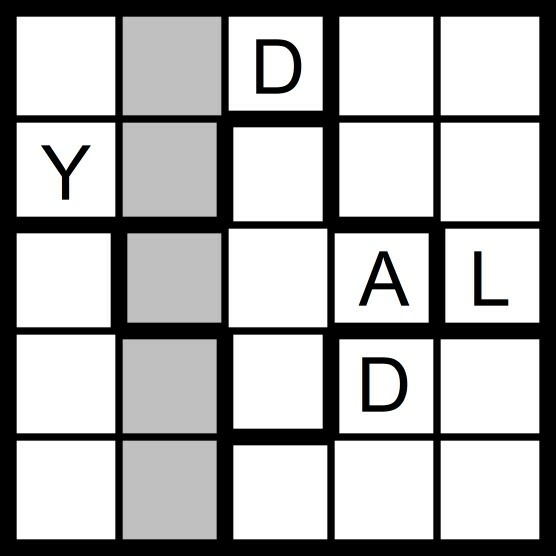 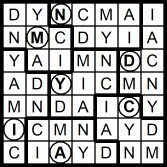 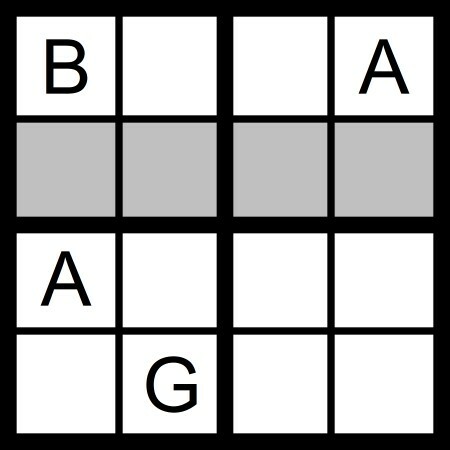 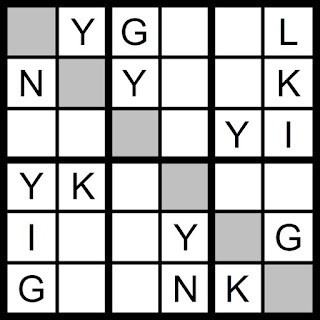 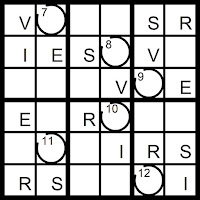 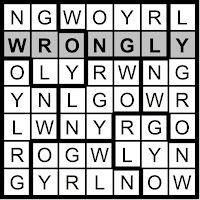 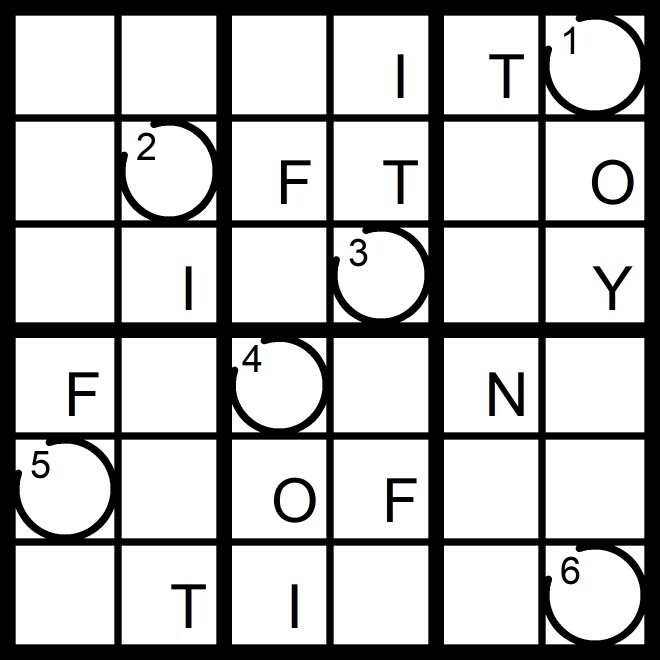 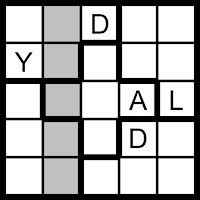 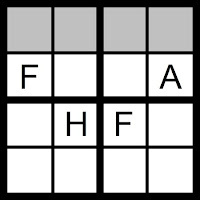 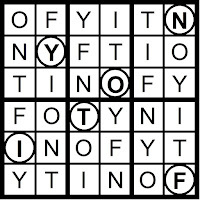 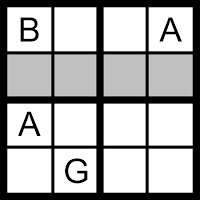 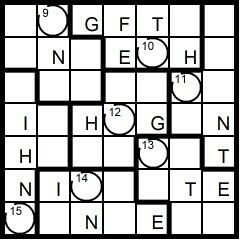 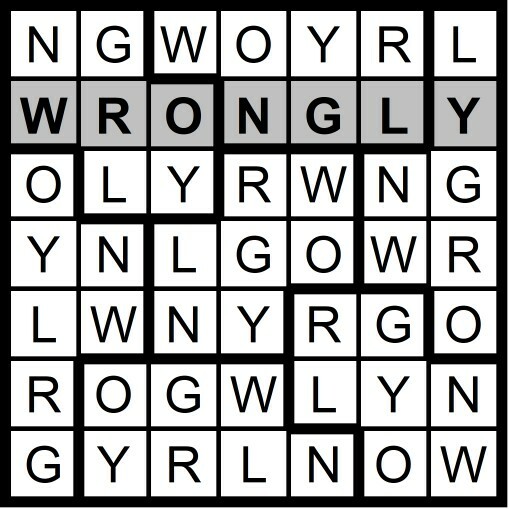 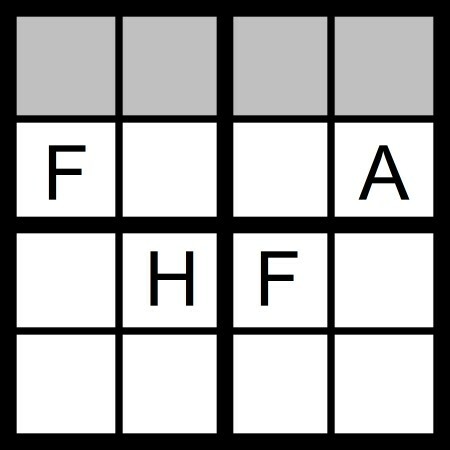 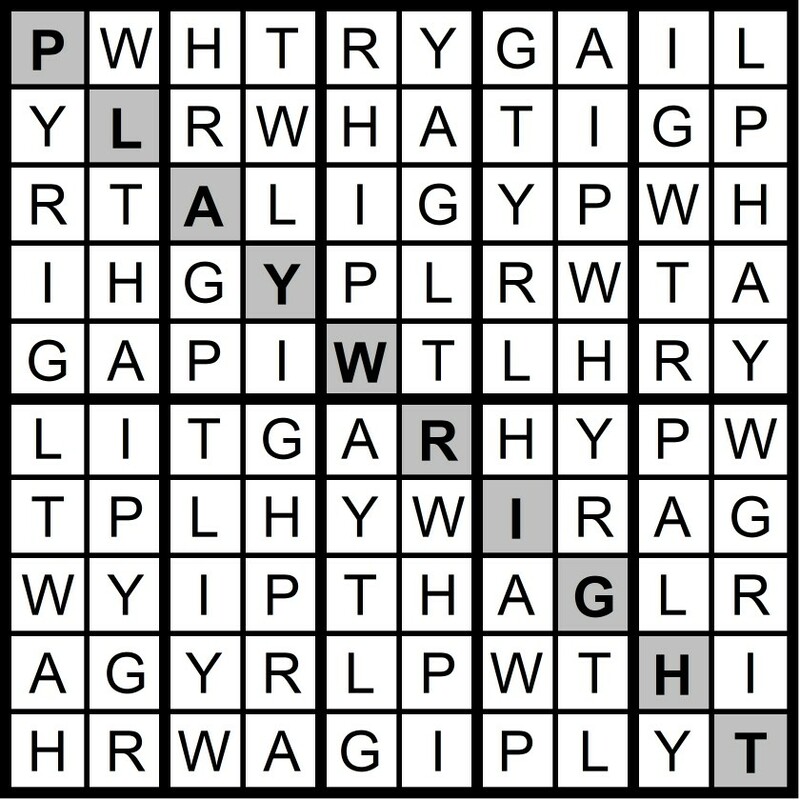 Yesterday's 10x10 Hidden Word Sudoku puzzle was based on the letters WARY PLIGHT (PLAYWRIGHT). 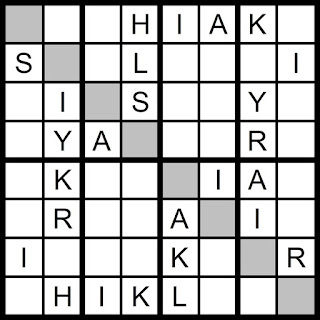 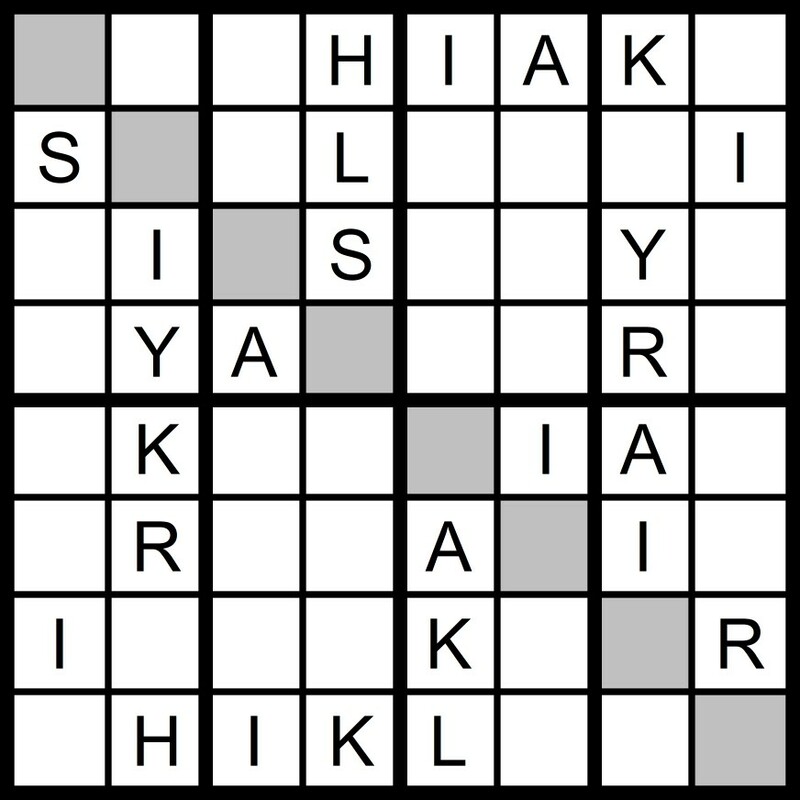 Yesterday's 8x8 Hidden Word Sudoku puzzle was based on the letters SILKY RAH (RAKISHLY).